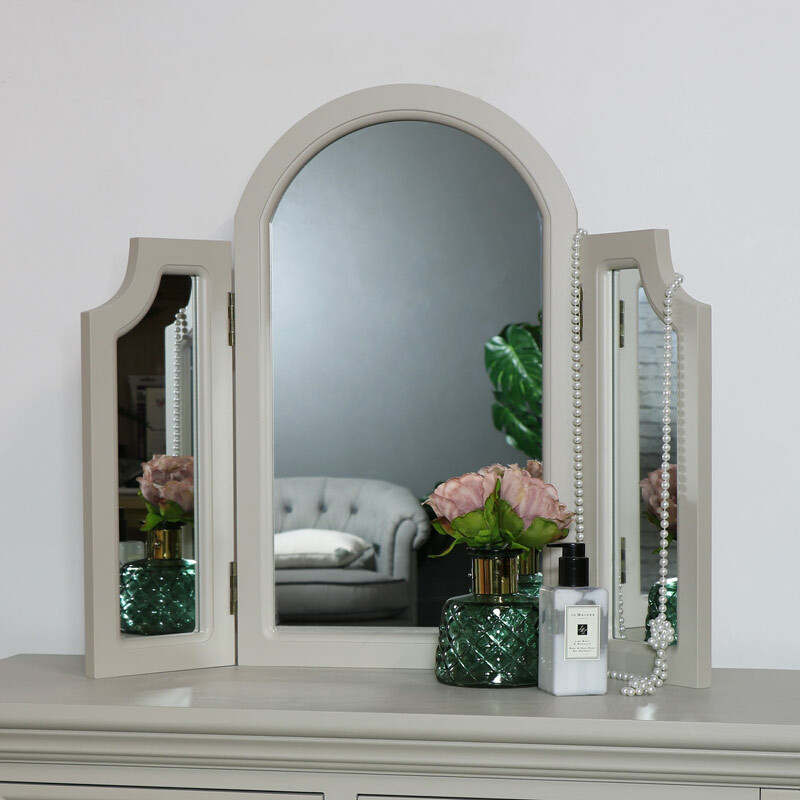 This tabletop vanity mirror is a great addition to our ever popular Daventry Taupe-Grey Range. 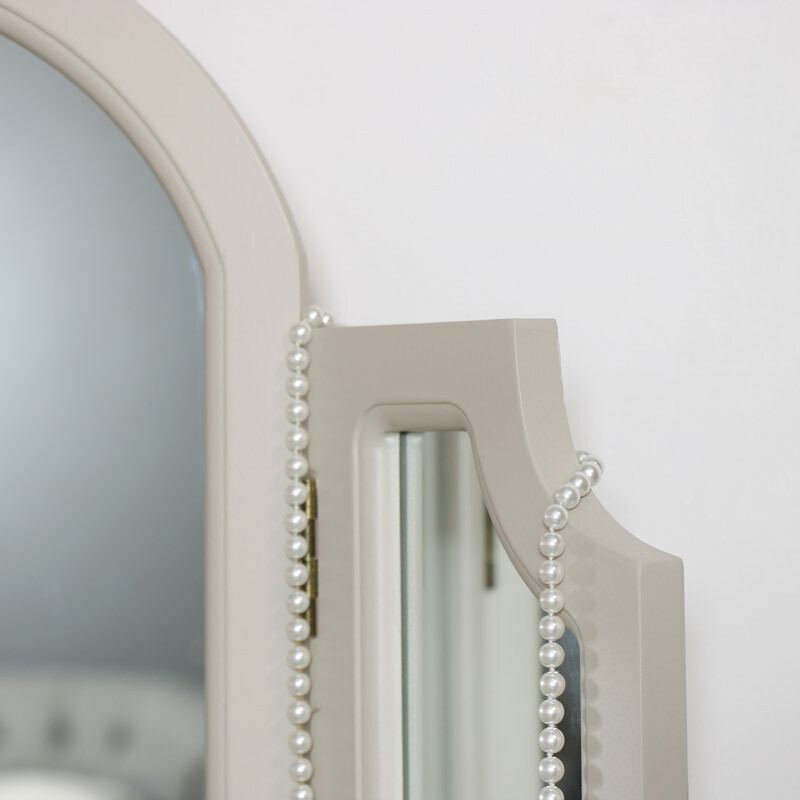 Stylish and so practical, this would look fantastic sat on the matching dressing table in the comfort of your bedroom or boudoir. 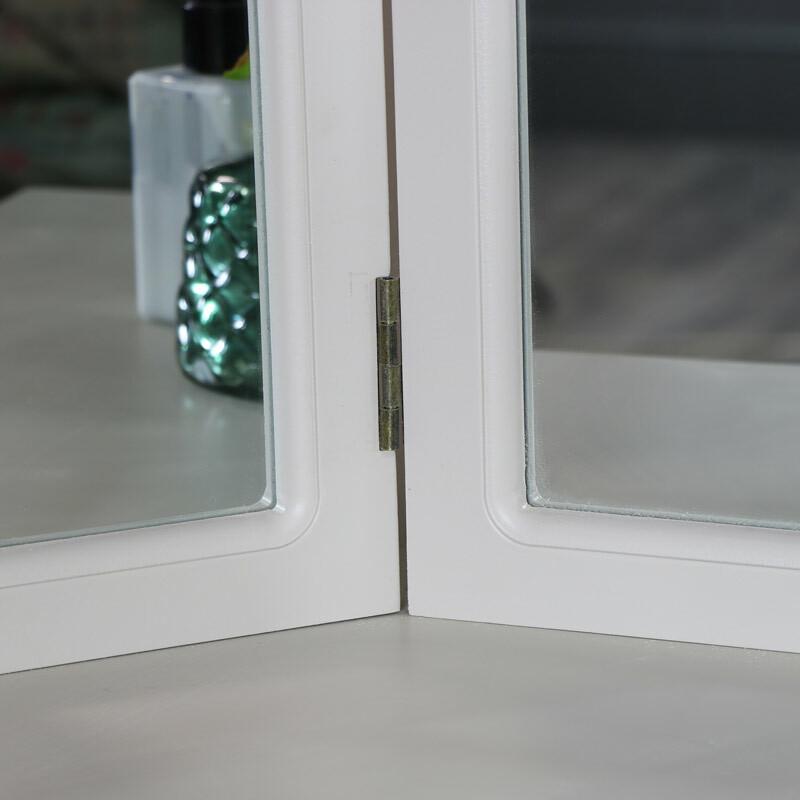 Painted in a subtle taupe-grey colour, the mirror comes in a great 3-way triple design that can be angled to suit with the centre panel in a stylish arch. Use as a standalone piece or team up with other pieces from our Daventry Taupe-Grey range furniture. Complete your bedroom decor with matching furniture from this range. We also have the Daventry in colours of cream, white and dove-grey for more decor options. Our Daventry Taupe-Grey Range is so stylish and incredibly popular. We also have this fabulous furniture white, cream and grey.